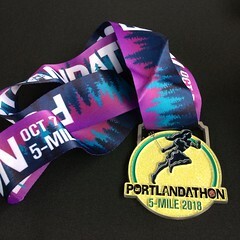 It was a cool and drizzly morning on October 7th when runners and walkers congregated at the World Trade Center in Portland for the 2018 Portlandathon marathon, half marathon, 5-miler, and 4 mile River Walk. When I got to the start area, the marathon had already started a long time ago, and the half marathon start was just about to happen. Lines for the bathroom looked long but moved quickly, and gear check was fast and easy. 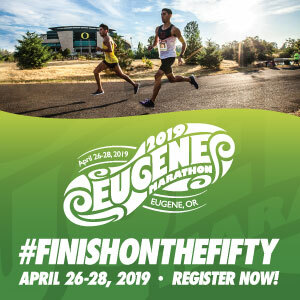 There was no packet pickup on race morning, but you had to have attended the race expo on Friday or Saturday in downtown Portland to get your bib and shirt. Race expos are fun, but it’s not always feasible for me to attend since I live 30 min away from downtown. Thankfully it worked out okay this time. If you’ve been paying attention to the Portland running scene over the past year, you are probably aware that Portland Marathon was in danger of not taking place this year, after its long time organizer had to step away from it. In order to save the event and to not leave registered runners hanging, Dave and Paula Harkin of Run with Paula Events and Portland Running Company were selected as race directors for 2018 (with the future of the event still to be decided). Part of RWP’s change to the event was to add shorter distances back in. The 5-miler is an excellent and uncommon medium distance. The 4 mile walk on an entirely different course than the running races made it possible for people who are not distance runners to also participate, possibly while their friends and family members were running the longer races. 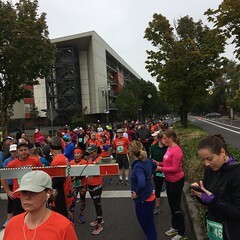 The start and finish for all race distances was on Naito Pkwy at Salmon Street, and two blocks of Salmon St and SW 1st Ave were blocked off for the start/finish activities. Shortly after the half marathon started, 5 mile participants were called to the start corral and asked to self-seed according to estimated speed to ease congestion. After a countdown, the starting horn went off promptly at 8:40am. The 5-miler course was very straightforward: head out for 2.5 miles to the turnaround point, then come back again. The course was well marked, had several aid stations offering water and Gatorade, and the spots where different ditances took different turns had volunteers working hard to keep everybody informed and on the right track. After the train passed, I looked ahead at the final stretch, hoping the rain would hold off until after I finished. At the finish line, Paula and others from her RWP crew were welcoming and congratulating finishers! We were handed mylar blankets to stay warm, and farther down the finish chute were presented with our medal (a different medal for each distance) and had the chance to pick up some snacks and drinks. The finisher party and beergarten (with mac&cheese by Stanfords and beer from Rogue Brewing) was located under cover in the World Trade Center courtyard. It was great to have such a large covered area available to stay dry and somewhat warm. Hitmachine was playing some great songs, but the acoustics surrounded by glass and concrete made it seem very loud to my ears. I enjoyed my food and drink, chatted with some other participants, before heading home to warm up. Overall I though the Portlandathon was a very well organized event. 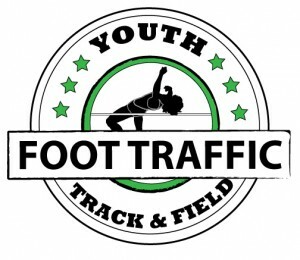 The freight train is something outside of the control of the organizer (and since the city has certain requirements for downtown races can’t avoid all railway crossings), and they are working with participants to get the official times adjusted. 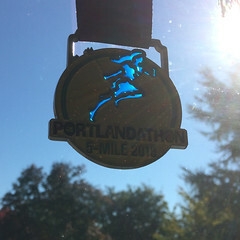 I hope that RWP will be in the running to be race director for a marathon for the city of Portland again in the future. TRAIN DELAY Inquiries-we are compiling data from runners who were impacted by the train. We are working diligently to find solutions, remedies, and to otherwise address individual issues. We know that this has impacted many, many athletes. Please use the inquiry link above [by emailing dave@portlandrunningcompany.com] to submit GPS data if you have it, details about personal delays, and any other observations you would like to add. Updated Wednesday, October 10, 2018 (7:19am): we are creating updated files for all inquiring athletes who are requesting a train delay adjustment. Thank you for your patience as we work through these requests. ***IMPORTANT*** We have not received official guidance from outside organizations regarding adjusted times. For Half Marathon qualifying races, your times will be adjusted ASAP. For marathon qualifying races, we will work with each individual claim as we receive them. We stand behind these adjustments and we will work with governing bodies and other events to assist you in any way we can. 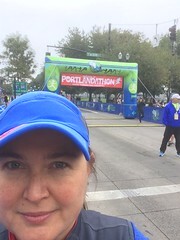 Updated Thursday, October 11, 2018 (4:20pm): adjustments to the half marathon are continuing to be submitted, approved, and changed in the results. We do not anticipate having official word from any other organizations regarding the marathon until next week.